Fasten your seatbelt and watch your advertising take off. 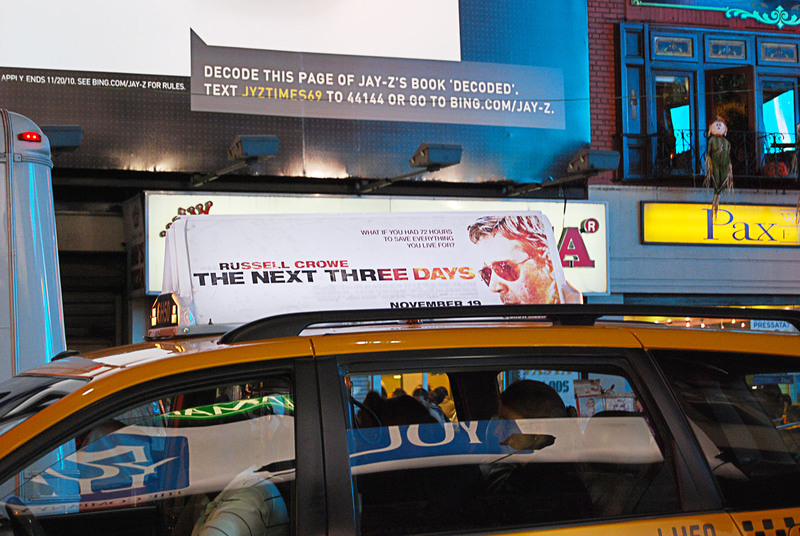 There are three main types of taxi top displays: traditional taxi top posters, taxi backs and taxi trunk displays. Big cities have a wealth of marketing options, not the least of which is Taxi Top Posters. These displays get seen in remote parts of a town and at the major hubs of commerce by pedestrians, drivers and mass transit users alike. 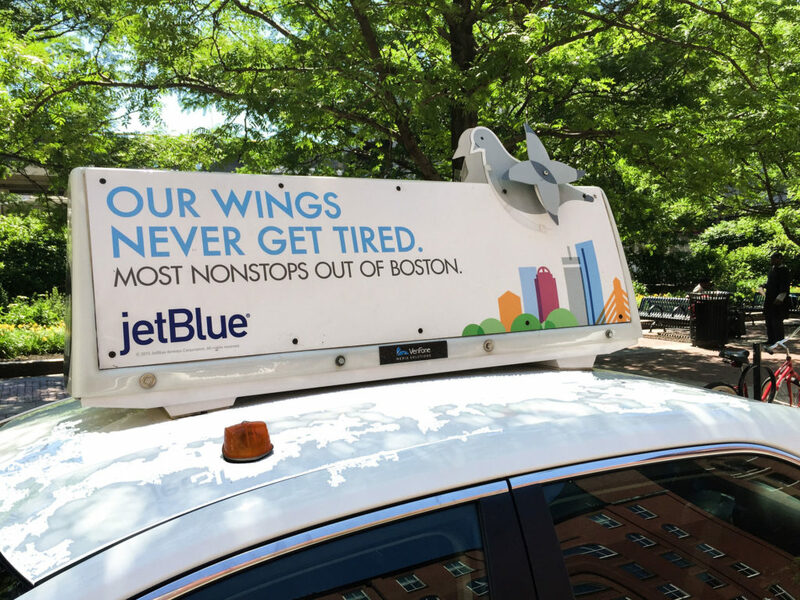 The most common size is the traditional “taxi top” – which is 14″ x 48″ in size and produced on translucent self adhesive vinyl. Recently, a slightly larger size has become popular at 16″ x 54″ with rounded top corners. Also available in certain markets are Taxi Backs and Taxi Trunks. Want to really stand out from the crowd? Some markets allow extensions on their taxi tops. These are printed on high strength polycarbonate, die-cut to shape and then mounted to the existing taxi top structure. 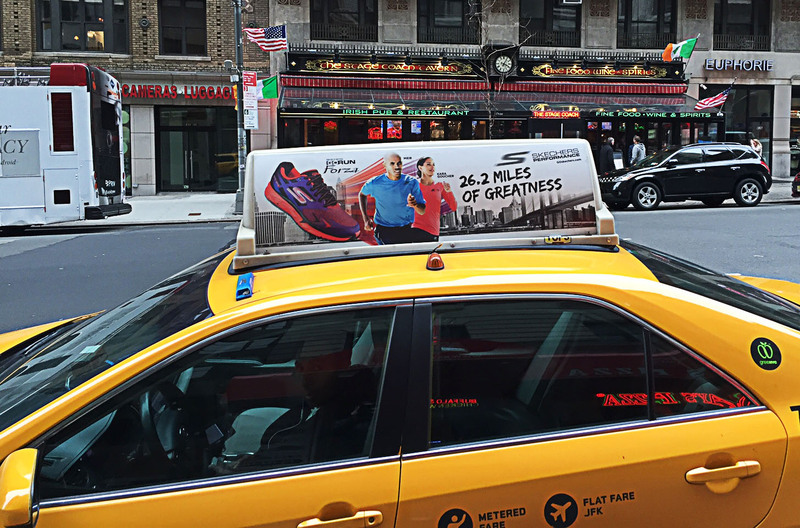 BPGraphics has been producing graphics for all three types of Taxi Tops for years and we’ve mastered size, material selection and production for these highly visible signs. Our easy upload system provides a simple interface to send us artwork for a single design or multiple designs for your unique Taxi Top campaign. Combined with our online project tracking portal, you will know the status of your project 24/7; resulting in the easiest production process in the industry. Taxi Top Template 14" x 48"
Commuters or visitors alike use taxis on a daily basis. Your message should look amazing this close to their eyes. We’ll make sure your impressions are memorable.